Endpoints are virtual devices. They are horizontally scaled, redundant, and highly available VPC components that allow communication between instances in your VPC and AWS services without imposing availability risks or bandwidth constraints on your network traffic. 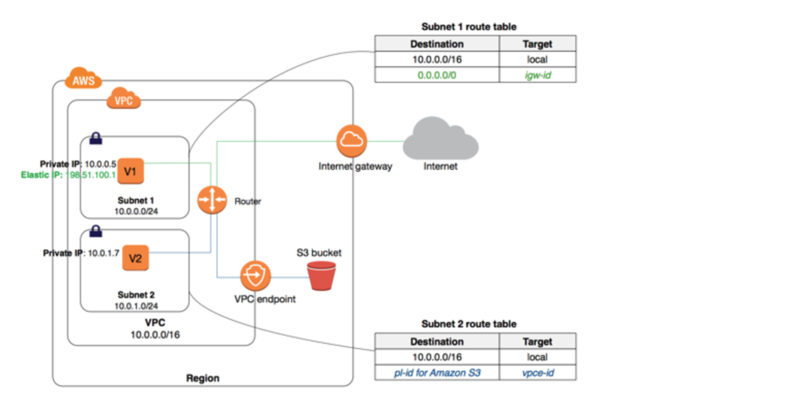 Endpoint cannot be created between a VPC and an AWS service in a different region. AWS currently supports end points for both S3 and DynamoDB as well. Please correct it. Thanks Pradeep seems a latest enhancement, will check and add the same. wow quick response. thank you. Thanks doanda86, yup there has been an update from AWS sometime back. Update the same. thanks Dave, it seems like Amazon Affiliate script is breaking the docs link. Let me check further. Hi Puneet, for interviews I usually recommend get your theory concepts right. Get your hands on using Free Tier, Qwiklabs, and Implement AWS projects. Also watch Re-Invent videos on architecture mainly. Why not try an alternative for SES as a SaaS service instead ?